The Rogue Valley is the hidden treasure of Southern Oregon just waiting to be explored. It has so much to offer for a range of different travelling styles. There are so many things to do in Medford, Oregon. 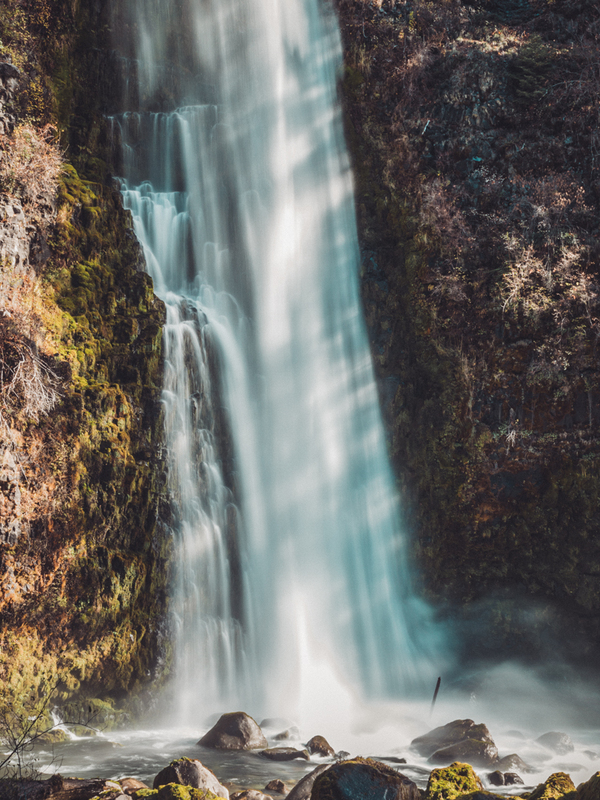 Being the heart of the Rogue Valley making it a convenient location to be based with attractions such as lakes, waterfalls, and great hiking just a short drive away. There are also a variety of nearby towns like Jacksonville and Ashland which themselves have distinct personality and charm. Medford is an up and coming down with a revitalized downtown who are focusing on expanding their arts and nightlife scene, providing top class restaurants, and award-winning wineries and breweries. With so many things to see and do in Medford and its surrounds, don’t miss your chance to spend some time in this big little town. If you’re heading to the region and searching for the top things to do in Medford and the Rogue Valley you’ve come to the right place. 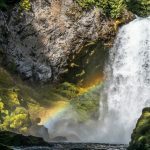 After spending a few stunning days here I had merely a taste of all the wonderful things Medford and the Rogue Valley has to offer, including plenty of free things to do in Medford, Oregon. 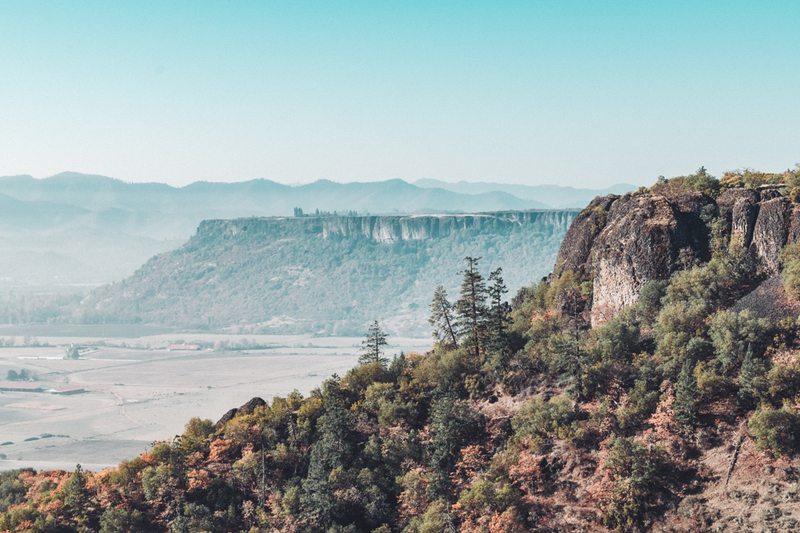 When it comes to things to do around Medford Oregon, the Rogue Valley is a stunning sight whatever time of year you visit. In summer the lavender fields are in full bloom, in fall all of the colours on the hills change to breath-taking golden hues, in winter snow will dust the mountain tops and occasionally down in the valley, and of course, in spring the wildflowers bring the landscape to life. The area is bursting with activities from rafting on the Rogue River, hiking, zip-lining, paddle boarding and so much more. The Rogue Valley’s diverse terrain ensures there is never a dull moment. One of the most popular trails in the Medford region is the Table Rock hike. There is an Upper and a Lower Table Rock trail but all of the locals I spoke to insisted the Upper Table Rock trail is better. It is a fairly gradual incline and not too long at 2.8 miles each way. The path leads you through the twisted trees up to a plateau where you can view the whole valley. The view of vineyards with layers of mountains in the distance is stunning on a clear day. This would be a reasonably accessible yet lovely hike for sunrise or sunset. Just be mindful of rattlesnakes in the warmer months in the dry grass. About 1.5 hours drive away is the famous Crater Lake. The only National Park in Oregon is full of day hikes, camping and easy scenic viewing opportunities. The best and easiest lookout over the lake is at the Discovery Point, just up the road from the visitor centre. 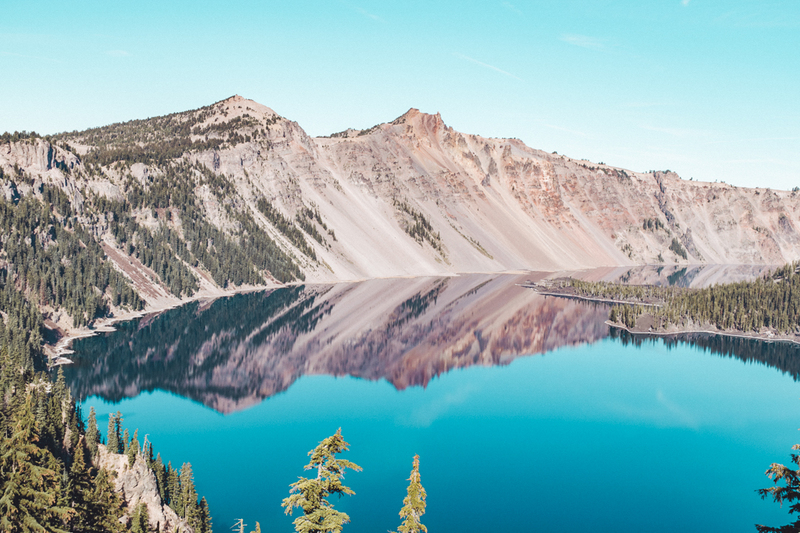 North America’s deepest and bluest lake was created 7,700 years ago when the volcano Mount Mazama collapsed in on itself to create a hole 2,148 feet deep. This lake has no water sources entering or exiting it and was completely filled by rainwater and snowfall over the course of 250 years. Just off Highway 62, an hour north of Medford is Mill Creek Falls, Barr Creek Falls and the Avenue of the Boulders. You’ll find the carpark on Mill Creek Drive. 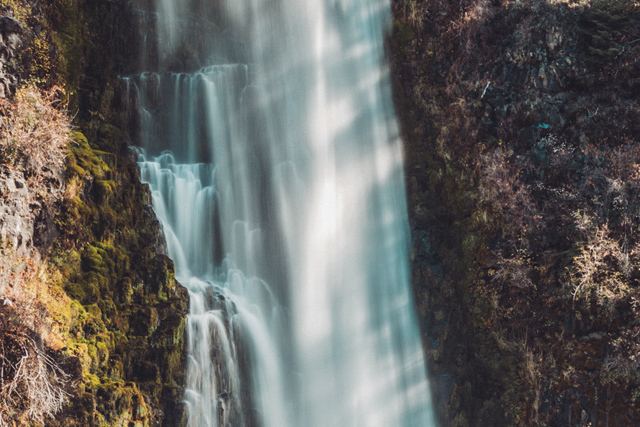 Mill Creek Falls is a 174-foot waterfall cascading down a cliff to join the Rogue River. Barr Creek Falls is an impressive 240 feet high. The waterfalls are easy to access and just a quarter of a mile from each other. 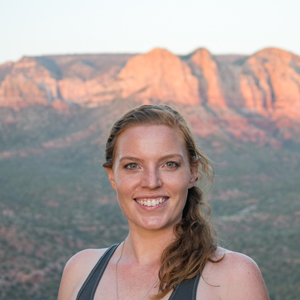 You can view them from the lookouts or find the steep and slippery path down to the base. It’s a little bit hidden but when I was there, the bright blue new rope gave it away. Two hours from Medford is the must-visit Toketee Falls. The 0.8-mile in and out hike will take you to the viewing platform to see the two-tier waterfalls. It a lovely walk through dense forest along the North Umpqua River. If you continue along the same road as you did to Toketee Falls (Toketee-Rigdon Rd), you will find yourself at Umpqua Hot Springs, just ensure you take the road to the right when you arrive at the fork. The carpark has $5 parking per vehicle per day. It’s then just a short uphill walk until you reach the springs. Be prepared for them to be busy if you come in the late afternoon, and also be prepared for a whole lot of bare bums! In Medford, Oregon, things to do are aplenty. What was so fantastic about staying in Medford was the ease of walkability to quality restaurants downtown. It’s obvious the eateries use the freshest ingredients, often sourced locally. The wineries and breweries are also doing incredible things and it’s clear they are passionate about their creations. 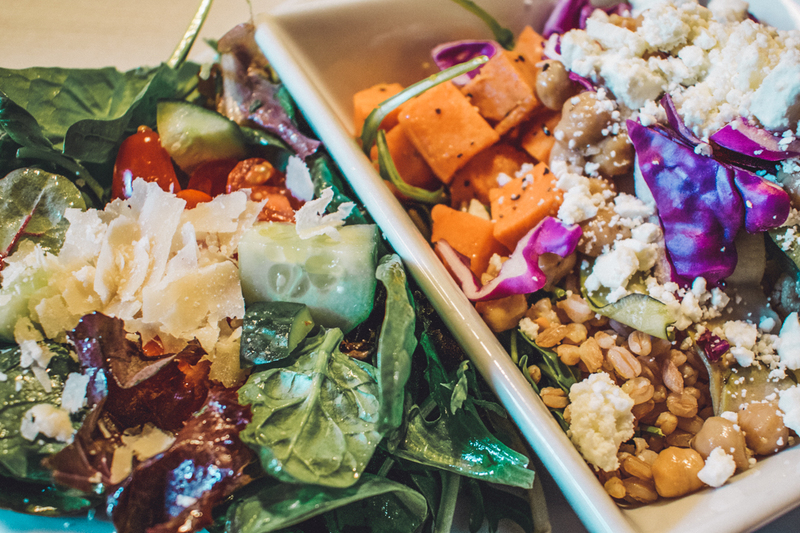 Downtown Market Co concentrate on making their generously sized meals fresh and simple. Their menu is varied and has something to suit everyone’s tastes. The flavours are simple, but what really makes the food stand out is the freshness and the flavours of the individual ingredients used. The warm and buzzing atmosphere is also the perfect spot for a French-press coffee. The semi-recently opened Common Block is the place to go for a relaxed yet lively feel. With options to eat in the restaurant or at the bar, their chef has created unusual flavours that pair together so beautifully. Once again, you can taste the quality of the ingredients used and the staff pride themselves on their their food, service and style. The meal I had was so good I went back the next night and ordered the exact same thing. The bartender was attentive enough to remember what we had discussed the night before and asked about my day which was a lovely touch. It helped me feel as though I’m wanted and I belong. Travelling solo, the bar suited me just fine to eat at. I even made friends with some locals who were more than happy to let me join in their conversation. Common Block has indoor and outdoor seating options available which make a lovely setting for a cocktail made from locally-made liquors or a refreshing local craft beer. Larks at the Inn at the Common is tucked away behind reception. They’ve nailed the ambient atmosphere with multiple dining areas to make you feel like you’re having a private dining experience. With plenty of candlelight and a fireplace, it is a fantastic option for a dignified dinner. Their servers made it a very pleasant experience, and their chef catered to my food intolerances with ease. Inspired by Oregon’s fresh produce from orchards, creameries, farms and wineries, the chef makes his meals from the ground up (pun intended!). Though a little more on the pricier end, it’s the place to spoil yourself and enjoy some thoughtfully created food. For a wonderful day trip out of Medford itself, visit one of the nearby wineries. 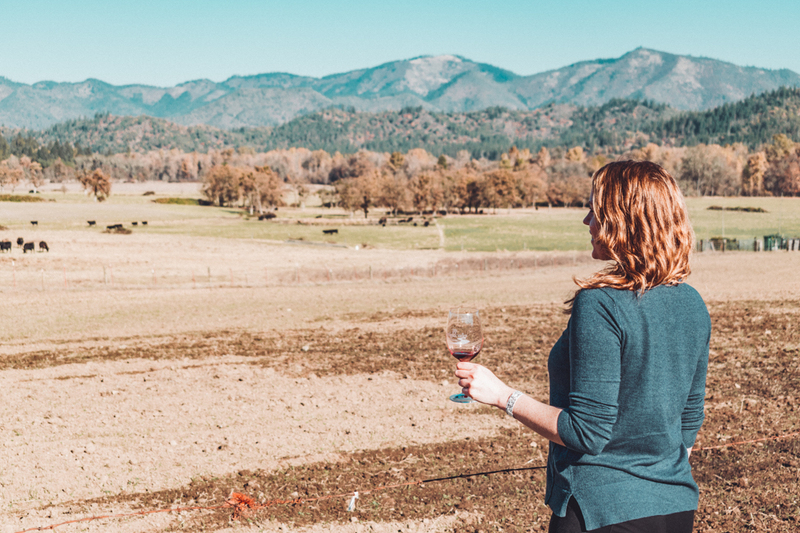 The Rogue Valley has the perfect climate and soil for growing grapes for over 70 varieties of wine but is especially known for their Pinot Noir, Merlot, Cabernet Sauvignon and Sauvignon Blanc. The wineries hold events and festivals year-round celebrating music, local culture, food and of course wine. If you want to try these handcrafted, award-winning wines, there are plenty of options for wine tasting. With more than 150 wineries in the area, where should you start? Joe and Suzi, the owners of the 210-acre Plaisance Ranch, not only manage the vineyard but also have a herd of organic grass-fed beef cattle. 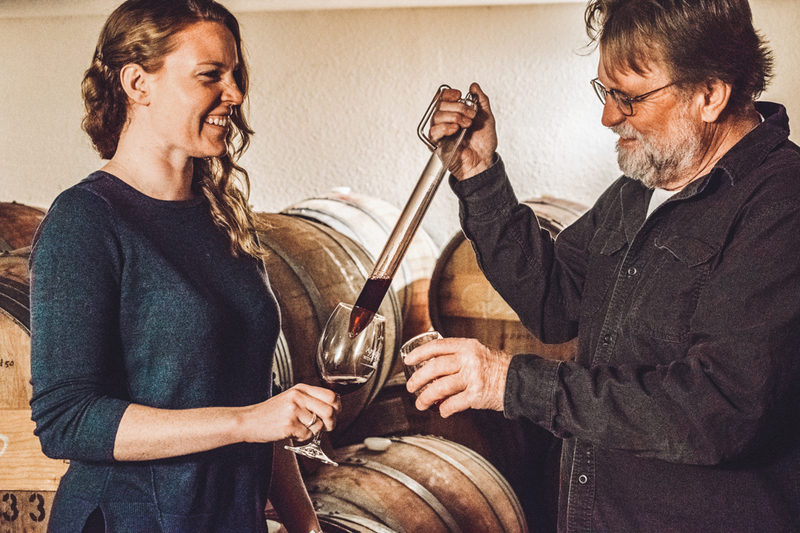 With a family history of hundreds of years in the wine business, they know what they’re doing when it comes to making a good drop. Take a seat at one of their outdoor picnic tables and enjoy the view of Greyback Mountain during your wine tasting. Named after their beautiful daughter and inspired by the vineyards of Spain, Red Lily has made a name for themselves with their Tempranillo. 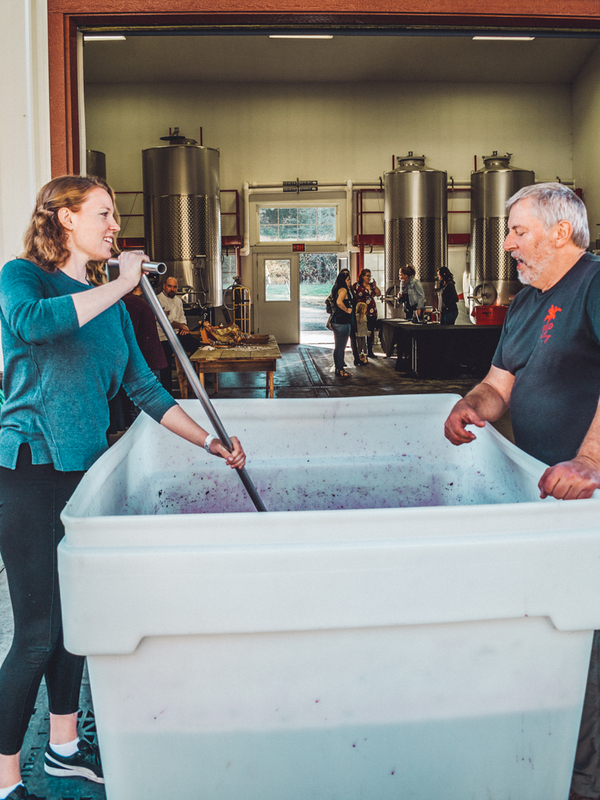 After embarking on the journey of learning the art of winemaking by themselves back in 2001, they’ve come a long way after many years of hard work. On a beautiful property full of herb and flower gardens, gazebos, and a lovely pond, the Schmidt Family first began their business creating Merlot, Syrah, and Cabernet Sauvignon. These were so popular they would sell out in no time and so have now expanded their range to include varieties such as Malbec, a popular style in the Rogue Valley area. For arguably the purest drop of wine in the region, head on over to Troon Vineyard. Inspired by the wines of the Mediterranean coast, they hand harvest their grapes then tread them by foot. Troon is slowly working on becoming 100% certified organic and biodynamic. I had a King Suite at the Inn at the Commons in Downtown. This was a fantastic choice as the walkability to nearby restaurants and bars made my stay easy. The rooms were spacious, bright and comfortable and the staff were willing to go beyond what was required to make my enjoyable. The employees showed their personality and were keen to connect with me without being unprofessional which I very much appreciated. The convenience of staying in downtown Medford made it so easy to get around. I felt perfectly safe walking through Downtown on a Friday night alone. Statistically, the overall crime rate is 166% higher than the national average so crime is present. Just like anywhere you go, use your common sense when you’re travelling alone or with others. Airbnb is an online booking system which connects homeowners wanting to rent their homes or a room with travellers who are looking for accommodation. Click here to get $$ off your first stay! This trip was sponsored by Travel Medford in return for my honest review. All thoughts and opinions expressed in this article are my own and not influenced by the company. Next Post Trtl Pillow Review – Is This The Best Travel Pillow Money Can Buy?